the cap screws and washers furnished. Place flat washers under screws and bolt bracket (see drawing) to post. Lower post until saw guides are approximately 3/8 in. above table. distance or radius to be cut. Tighten bolt on fine adjustment clamp. The center of centering pin must be directly in line with cutting edge of saw band. with edge of square's blade; then clamp tight. Make final radius adjustments with fine adjustment wheel and tighten arm clamp bolt. Tighten bolt on the radius arm clamp, making sure center pin is square to table. 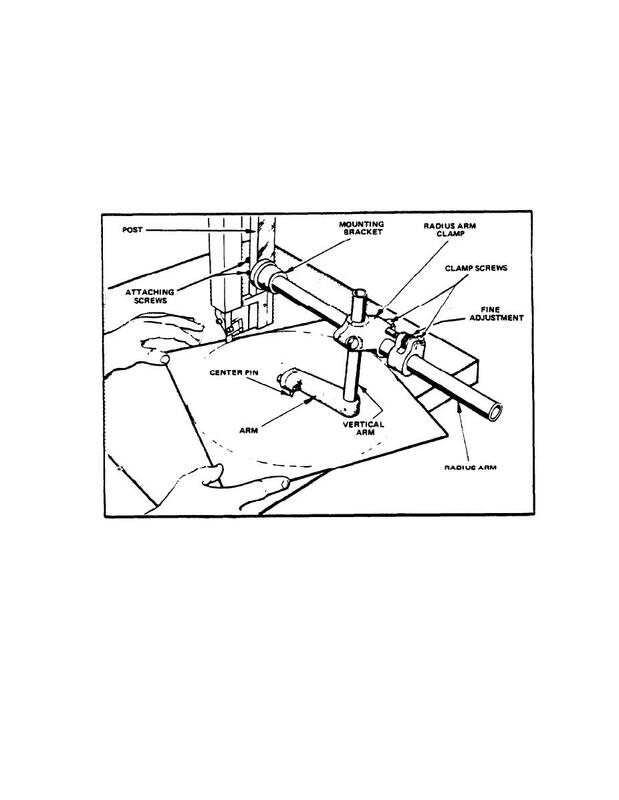 Adjust unit for work thickness by raising or lowering saw guide post.